Did you know what is “El despejo” (The clearing)? 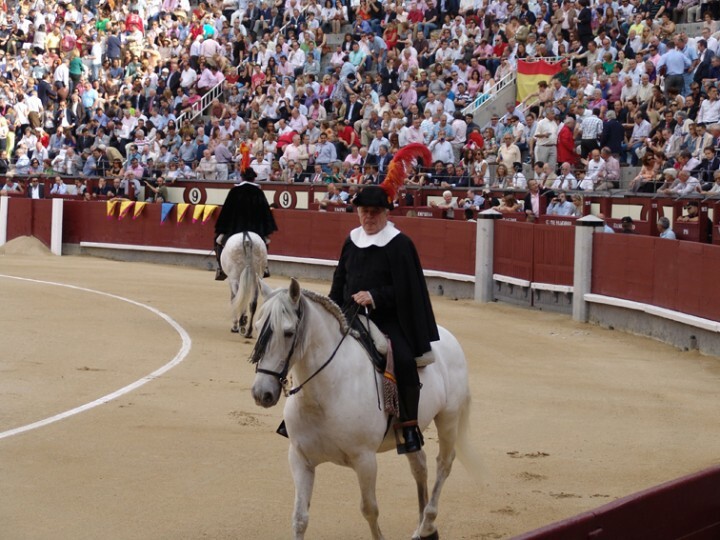 When bullfights took place in plazas, royal civil servants had to clear the people from the plazas before letting out the first bull. 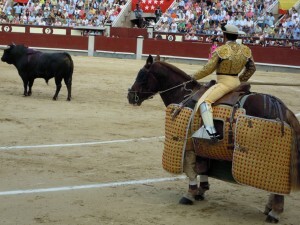 But nowadays when a bullfight takes place, in bullrings, clearing out the ring is a mere formality. 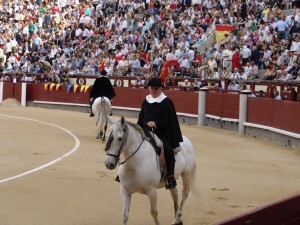 In remembrance of this tradition today, two “Alguaciles” on horseback (persons responsible for opening the bull pen at the beginning of a bullfight) are dressed in the old style clothing from the time of Felipe IV. Their job is to go around the ring to make sure that it is devoid of people. nodding their heads and taking off their hats. 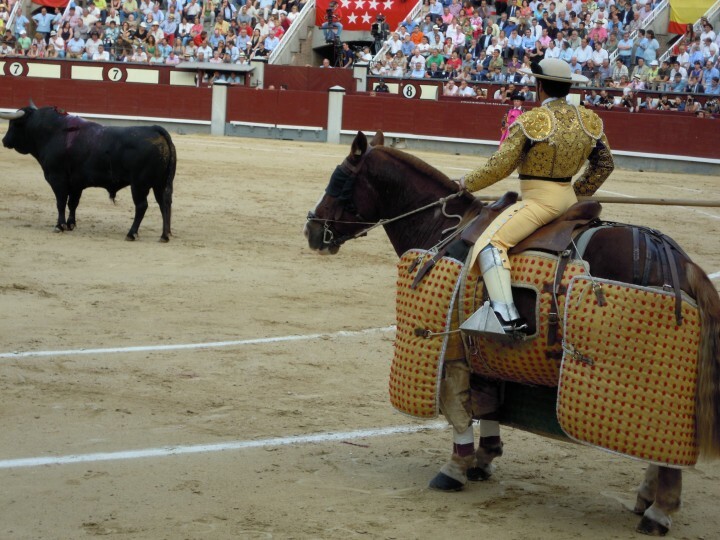 Other duties of the “Alguaciles” include picking up the key from the bullpen, conveying and executing orders fromthe President, and giving out prizes to the bullfighters.